Also open by appointment as needed. Just call first! 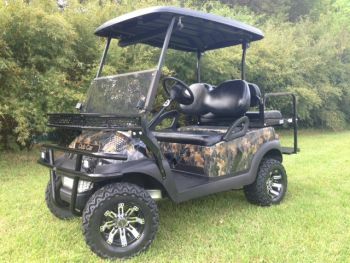 We specialize in high quality, late model golf carts. We have base and lifted carts in stock at great prices. No job to big or small. All carts have a 90 day warranty and service after the sale. Financing available! 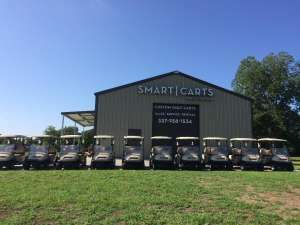 *** 12 Month Interest Free With Approved Credit***\r\n\r\n2015 Premium Club Car 48V Golf Cart.\r\n\r\nhttps://www.facebook.com/Smartcartsofla\r\n\r\nHD Lift\r\n\r\nAuto Charger\r\n\r\n90 day warranty\r\n\r\nMysmartcarts.com\r\n\r\nSmart Carts LLC\r\n\r\n337-258-1534\r\n\r\nWe service ezgo ez go, Yamaha and club car golf carts\r\n\r\nWe sell golf cart batteries!\r\n\r\nWe Rent Golf Carts For Your Special Occasion\r\n\r\nLifted Golf Carts Being Built Daily. Call For Our Latest Selection.\r\n\r\nMilitary, Law Enforcement, Firefighter and Professional Educator Discounts. Check Our Website For Details. 12 Month Interest Free Financing With Approved Credit!\r\n\r\n2015 PremiumYamaha 48V Golf Cart.\r\n\r\nhttps://www.facebook.com/Smartcartsofla\r\n\r\nMysmartcarts.com\r\n\r\nCustom Paint\r\n\r\nCustom Seats\r\n\r\nBIG 14\' Rims\r\n\r\nNew batteries\r\n\r\nFull LED Lights\r\n\r\nGEN 150 HD Rear Flip Seats\r\n\r\nHD Lift\r\n\r\nAuto Charger\r\n\r\n90 day warranty\r\n\r\nSmart Carts LLC\r\n\r\n337-258-1534\r\n\r\nWe service ezgo ez go, Yamaha and club car golf carts\r\n\r\nWe sell golf cart batteries!\r\n\r\nWe Rent Golf Carts For Your Special Occasion\r\n\r\nLifted Golf Carts Being Built Daily. Call For Our Latest Selection.\r\n\r\nMilitary, Law Enforcement, Firefighter and Professional Educator Discounts. Check Our Website For Details.